Dhoni was the CSK skipper in 2013 when the whole IPL fixing scandal happened. MS Dhoni is a very polarizing figure in the Indian cricket scene, as there are cricket fans who either love him to death or hate him. There is no in-between sort of feelings when it comes to Dhoni. The former Indian captain has won two World Cups for the nation and achieved many victories that brought pride to the country. Dhoni took the Indian team to the no.1 rankings in Test cricket for the first time and has been one of the most successful captains the best T20 league of the world, the Indian Premier League. However, his closeness with the former BCCI president N Srinivasan, who also owned the Chennai Super Kings franchise, for which Dhoni plays; has brought him many detractors as well. 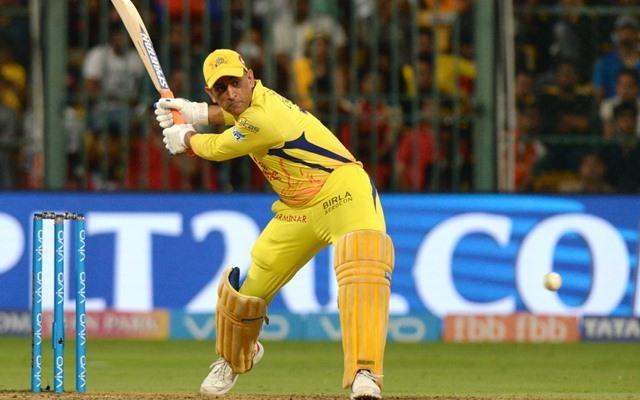 However, biggest criticism for Dhoni came when he remained tight-lipped about Chennai Super Kings’ involvement in the 2013 IPL match-fixing scandal, when three players from Rajasthan Royals were arrested for spot-fixing and officials from both Royals and Super Kings were found guilty of being involved in match-fixing and betting including son-in-law of Srinivasan and team principal of CSK, Gurunath Meiyappan. The HotStar produced special docu-series is directed by well-known Bollywood director Kabir Khan and was shot in three months’ time. It chronicles the journey of MS Dhoni in IPL during the turbulent times when CSK was suspended and he had to play for another franchise and how CSK made a brilliant comeback and won the tournament in 2018. “We know all about the broad strokes, the legal side, and the uproar. We don’t know what was happening to the individuals beyond those headlines. This is a story behind the headlines. Were these headlines affecting Dhoni? Of course, they were, but he never spoke about it, until now,” Kabir was quoted as saying on ET. Kabir pointed out that the match-fixing saga hurt players, but this docu-series gives those players a chance to put forth their point of view. This proves to be the USP of the whole project. He also said that Dhoni has been very honest in their discussion for the docu-series and interviews last 7-8 hours. This was only possible because Dhoni trusted Kabir Khan that his words will be portrayed sensitively on the screen. Khan said, “The most successful IPL franchise has match-fixing allegations against them and the icon of the country: Dhoni. They get banned, they cope with that, come back after the allegations are cleared, build a team which is ridiculed and goes on to win again. How could I not have done this?